Front brakes: Double disc. 4-piston calipers. Optional ABS. 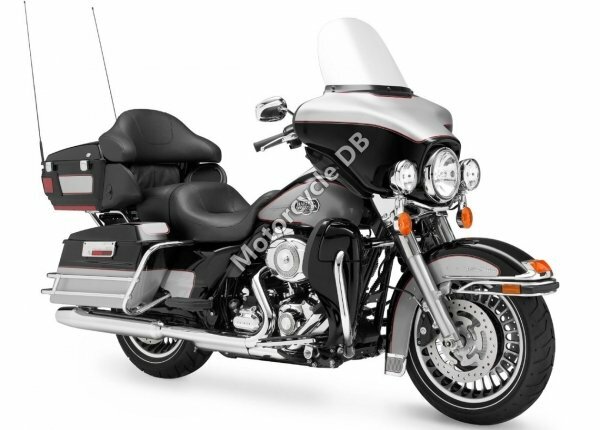 Seat: One-piece, two-up Electra Glide classic comfort stitch seat, sculpted for added comfort and easier straddling. Passenger backrest with wrap-around armrests.